I'm a second generation hippie so most of this book is things that I know, it's the way that I grew up. That didn't stop me from reading it (nearly) cover to cover in one sitting. It's funny, there are parts that I read out loud to my husband because they made me giggle. The style and pacing is informal, well-written and breezy with a good dose of humor. The author talks easily about the silly moments that make up day to day family life and joy. The chapter I skipped was the one about diapers. My own children are young adults, it's a non-issue at this point. There are some adult topics covered, and some adult language, but nothing that I'd have a problem letting a 14 year old read. 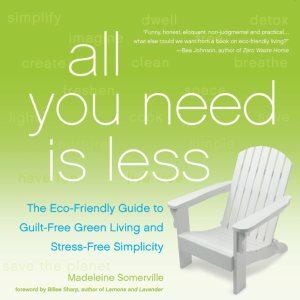 There are some great tips in here, for easy ways to change up little things in your routine to live a greener lifestyle, but unlike a lot of books about living in a more eco-friendly way- the emphasis in this book was on reducing. On getting away from consumerism and improving your quality of life and the things in it. It has lots of the tips and solutions for getting away from harsh chemicals and using more natural things in day to day life and less petroleum by-products. Instructions for cleaning sprays, how to shine your stainless steel, how to wash laundry in less harmful ways. There is a good chapter on gardening for the absolute beginner with some truly helpful tips. She also talks about shampoos, scrubs and skin care. The author isn't crafty, she freely admits that cooking isn't her strong point and that she's never touched a sewing machine. This is truly attainable greener living by making small changes. My favorite part though was when she pointed out how much redundancy there is in neighborhoods, so many people owning the same things when people could be sharing. It's something to think about. It's also really funny. She talks about the weird looks you might get when you choose to use a pickle jar for coffee, and how to avoid to being THAT person, you know the one. The one who is so green and smug with it that people try to avoid them. Yes, I do recommend this book and plan to share it with friends. You can find the author's blog HERE. I do have one quibble about the whole thing. She talked about how to get rid of DANDELIONS. I yelled at the book at that point "You just lost major hippie points." You all know how I feel about dandelions right? 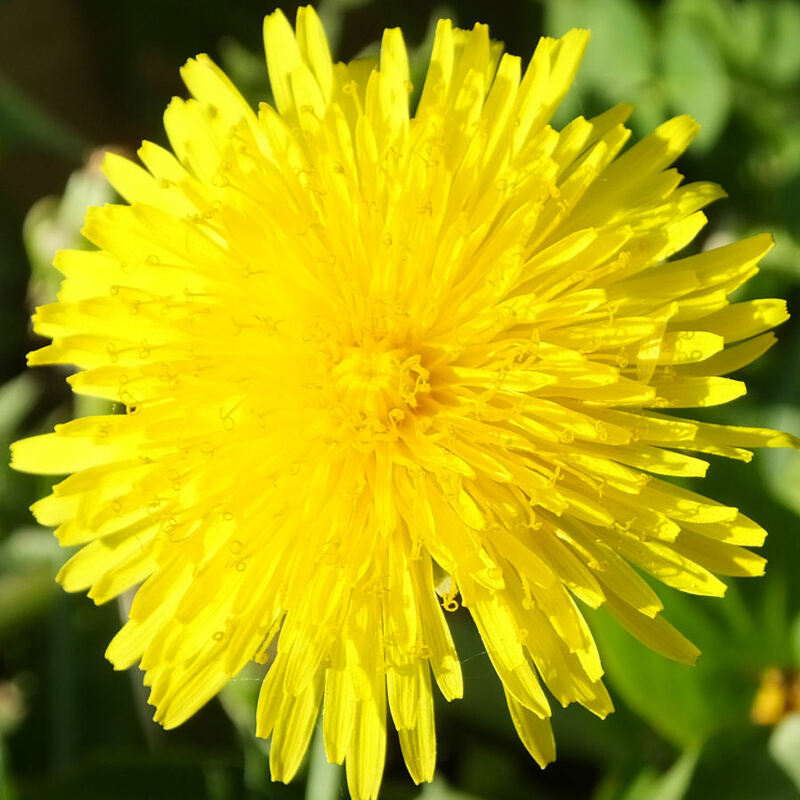 They are one of the first foods available for bees, they are bright and pretty, fried dandelion blossoms are a favorite food in my family and we plan to try sprouting dandelion microgreens soon. We eat the leaves in tacos and salads, and they are what I consider the "first crop of summer". Why would anyone want to get rid of dandelions? I've watched kids come to my yard to gather handfuls for their moms- and they can because my daughter made so many wishes when she was little on them. She also used to pick them for me. But it's so hard to explain to neighbors that they aren't weeds! It's a wonderful book. Thank you.